Information for stall holders for the June CRAFTfest Event! Below is a list of outstanding Avatars and Stall Links. 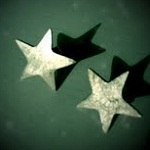 Any stalls missing links after tonight will be moved to the ends of their categories. Any stalls still missing links by 9th June will be removed completely. and we are already well past the deadline. Please also look out for the announcement for Creative Connections switching over to CRAFTfest! This will be around Midweek. We will require you to check that your link works to your stall and you are happy with it. Time is running out CRAFTfesters! It is glorious and sunny once again, here in Devon; so I thought I'd post this for you before popping outside and soaking up a few of those rays. I'd like to introduce you to a few more of my Lilac Lovlies. Remember CRAFTfest runs from the 9th to 16th June, and all these lovely people will be there. The main products you will find in my shop are jewellery and cards, as these are my favourite things to make. I started making jewellery around ten years ago and have been hooked ever since. I try to create items that are individual but also in-keeping with the latest styles, so you'll always find new products popping up. As a full time Visual Merchandiser I also love to make other extraordinary things, including chandelier shades, jewellery stands and keepsake boxes. So keep your eyes open for my one-off exclusive buys! I am currently expanding into wedding invitations, bridesmaid jewellery and wedding accessories, so please don't hesitate to contact me for any bespoke items. Span's Studio is an etsy store and blog that sells handbound soft cover journals, notebooks and handmade crocheted buttons we are always coming up with new and interesting ideas using crochet as the main medium. Madam Mod Makes handmade jewellery using recycled and refashioned materials married with resin, precious metals & gemstones. Creations are inspired by Vintage British Design & Quirky British Culture, with a big Nod to the ever fashionable Mod & Scooter Scene. Each piece of jewellery is totally unique with a quirky edge, made to be worn by the individual in you. Madam Mod Makes loves to create Bespoke items to complement a theme or event. If you would like me to create something old, something new, something unique made just for you, get in touch. Make and Do is all about encouraging everyone get crafty. We've got a wide range of arts and craft materials including felt, fat quarters, buttons, ribbon and all sorts of other goodies. I have also designed a range of my own kits which include the popular Wonky Owl and Button Tortoise. Make and Do kits contain everything you need to complete your chosen project, including stuffing, a needle and clear step by step instructions. And I've got a range of handmade goodies including bunting, wonky owls and coffee corsets for people who don't have time to make it themselves. 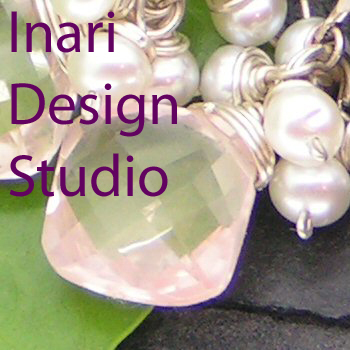 Inari Designs are high quality, unique, one of a kind and very limited edition designs featuring jewellery crafted in 9 and 18 carat gold, Sterling Silver or 14ct Goldfill and featuring Precious or Semi-Precious gemstones. Each piece is lovingly created by hand to make truly unique and individual pieces a reflection of the people who buy my jewellery. I also do commission work and have created jewellery for weddings and other special events. Please just ask and I'm happy to work with you. Finnspirations is the home of Handmade Homeware and Decorations with a touch of Scandinavia. There is something for everyone. If you have something specific in mind, or are trying to find suitable accessories for your home in certain style or colour, contact us and hopefully I will be able to help. I have recently completed my training in Aromatherapy and I'm completing my crystal healing course. I was looking for away to use these in day to day life. I want to share this uplifting therapy with everyone. I use 100% cotton fabric and threads to create these flowers, to enhance their natural healing qualities. All the flowers are handmade, and oils blended by myself. 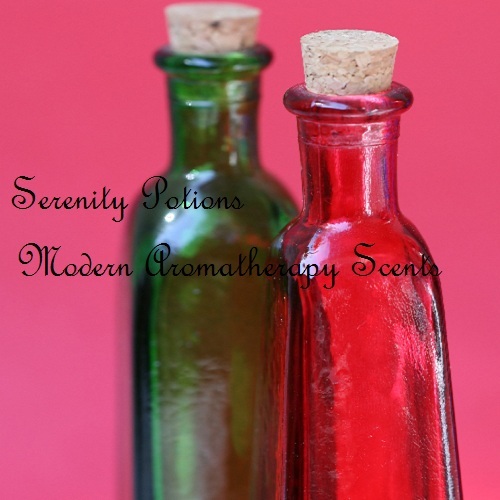 I source the oils from environmentally friendly sources and ensure they are not diluted or extended with any synthetics. Wearing unique and desirable jewellery from Artisan Designs gives the right impression, with an impact. Gaynor Jackson is a Marie Claire featured jewellery designer who brings unique, quality jewellery that is affordable to the fashion world. With designs from chic to contemporary you are sure to find jewellery that you will love forever. Need a gift within a set budget? No problem, allow me to create you something beautiful and special within that budget & give the recipient the most unique gift ever. I am a self employed lamp work bead artist working from my North of England studio. I hand craft beads that I sell for people to make their own unique jewellery and also make and repair jewellery. That's it for today folks, I will be posting more soon, so keep your eyes peeled for more Lilac Lovlies. Don't forget CRAFTfest is live from 9th-16th June, don't miss it. Click here to view and share the FIRST blog post. I’m a lampworker living in Northamptonshire and I’ve been making my own beads for about 6 years now. 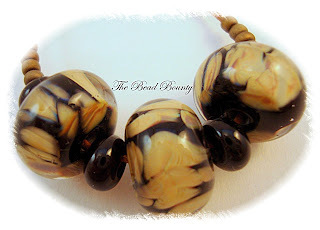 All the lampwork beads are handmade made by me in Lamp Lodge, my new purpose built studio. Sizes given are approx, and as part of their charm & characteristics, may have slight variations! Wouldn't it be boring if everything was all the same!! Welcome, have a look around, make yourself at home. My absolute favourite items to make are unique and funky bags and accessories. I never use the same fabric twice making my bags, so you wont bump into someone else with the same bag as you.Your bag will be unique to you and you alone! You will find all types of fabric craft items here and I'm sure you will find something that will catch your eye. Studio Charley showcases artwork by an over-caffeinated, scalpel wielding, graphic communicator who can often be found dissecting paper at her home in Essex, England. I am an art photographer, illustrator and ceramic designer. I presently make Cyanotypes,beautiful unique hand produced art photographs. 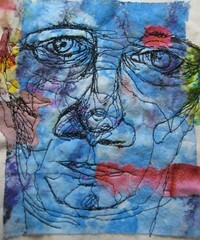 They are made on paper or fabric, some I embellish with embroidery and beads. Which are then mounted on canvas frames ready for you to hang and enjoy. Various sizes are offered and I except personal commissions. I also make small gift items in various materials, by hand to compliment the Cyanotypes. Here's a piece I made for the Indie Music Awards here, where I combined the use of artistic wire, Swarovski crystal bicones and a compact disc. the things we make help bring a ray of sunshine to those who receive them! Minty Club is the home of Elegant Gifts and Decorations varying from fashion dolls to passport covers. Welcome to Country Bazaar. Ethical accessories for you and your home. Hand-crafted in the Highlands, using the finest undyed or naturally dyed yarns, Harris Tweed, and other materials which are one, or all, of the following: Organic, Fair-trade, Up-cycled, Natural materials (e.g wool, cotton, wood) Buy with a clear conscience. At Anna's Jewellery Designs, our passion is for creating unusual “statement” pieces of jewellery using genuine Murano glass, lampwork beads, semi-precious stones and pearls. The Murano glass components we use are personally selected from the studio of a top-class designer on the island in the Venetian lagoon. The lampwork beads, semi-precious stones and pearls used in our jewellery are also chosen for their vibrant colours and unusual character. The result is eye-catchingly beautiful, stunningly individual, and surprisingly affordable. Stitching Dreams is dedicated to providing beautiful and unique Cross Stitch Charts for Cross Stitchers to stitch their dreams into reality. These charts are all designed with the stitcher in mind, reducing confetti stitching and number of colours needed whilst at the same time preserving the quality of the image. We also do custom chart conversions on request. On my stall I have beautiful handmade kiln-fired enamel jewellery. Each piece is unique and handmade by me. I enamel mainly on copper. Some of the pendants can be worn either way as they have been mounted onto pewter using sheet pewter and then glass paint has been applied to the design. So if you are looking for something unique please visit my stall. Thanks for looking. At Findhorn Bay Soaps you will find a host of divine, luxury, handmade artisan soaps & luxurious bath & body care products. Each recipe is carefully created & made using the best ingredients available, incorporating my love of colour, fragrance & style.Treat yourself to something from the all natural soaps with essential oils & natural colours or choose from our fragrance oil range with it's wide selection of fragrances, colours & styles. Many of our soaps are enriched with silk, goats or coconut milk making them super rich & nourishing. A joy to use every time. Our luxurious bath & body care products compliment our soaps beautifully so that every bath or shower is pure pleasure. Step into Lorraine Dowdle’s studio and experience a world of exclusively designed and exquisitely unique, hand-created wearable sensations. Lorraine crafts all her own lampwork glass beads in the flame and incorporates these little artistic treasures with her passion for wirework, offering an eye catching, desirable, and unique work of Art, that easily transitions from being a daytime accessory to a glamorous evening conversation piece. Lorraine offers daily work shop classes in both mediums, to share her love for handmade with others. Custom creations are her speciality. 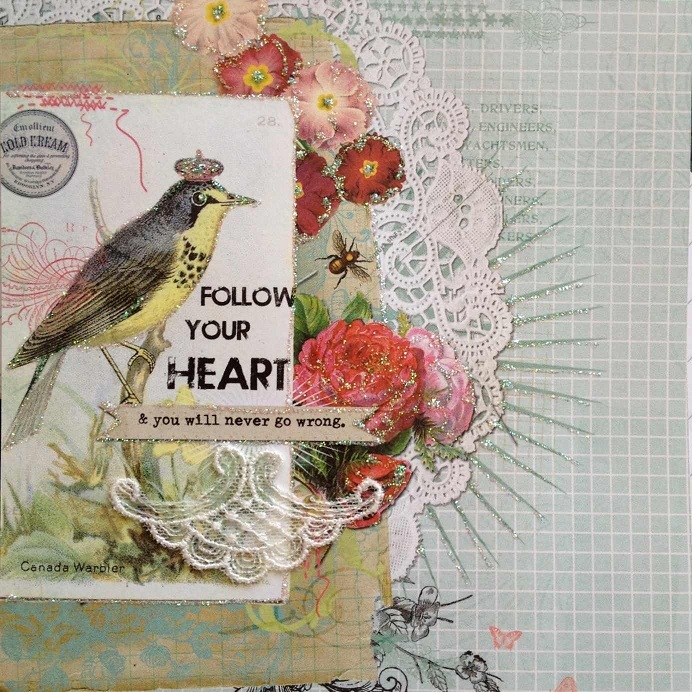 Lorraine will help you express your own creative flair though her work, by making a special piece just for you. Elloria's Boutique is the culmination of two individuals’ love of form, colour and traditional artisan techniques. Inspired by natural forms and influenced by cultural references from bygone and contemporary eras we create experimental yet wearable collections of handcrafted one of a kind and limited edition jewellery and accessories. I make beads, pendants and focals using polymer clay which I then make into jewellery pieces. I prefer to make one-of-a-kind pieces for my one-of-a-kind customers. I blend my own colours and am most often inspired by nature to create a new palette, although my pieces are often stark and dramatic. On my stall I have handmade polymer clay jewellery. It is a spring collection of colurful and vibrant, vintage style flower jewellery suitable for all ages. Matching sets of earings, neclaces, brooches, and chokers in Spring colours. Come an join us at the June Online Craftfest. Found this amazing blog from one of our CRFATfesters, thought you might all like to read it, and with her permission I have been able to post it here for you. Is this event any different to a multitude of others? 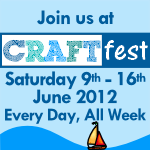 The more observant among you will have noticed the small advert I have for CRAFTfest June 2012 as my header. Its fairly obvious (I hope) that its an online craft fair, but it is different (that's me hoping again) in that each of the 150 or so stall holders is going to work really hard to promote the event and each other. So is it actually going to be any different? Well, time will tell. But I am certainly not going to be thinking that I should have done more, and I have a plan (I haven't yet really, but it is forming). What is CRAFTfest supposed to achieve? Some sales on my Folksy shop and my Etsy is the ultimate aim. Greater exposure forHandmade In Keswick can only be a good thing, and some different contacts in my network may help me achieve that. What's the plan of action? Tricky one this, as this is my first CRAFTfest, I don't really know what to expect. I've been put in the Purple Advertising Team (whatever that might mean) and I think I'm gonna be fairly flexible and try to work with whatever anyone else might do, but I do have a plan of sorts. As well as trying to work out how to embed my stall link on to my blog, I'll be blogging every day from Saturday 9th of June to Saturday 16th of June, showcasing work from the Purple Team. Each blog will be posted on my Handmade In Keswick Facebook Page;Tweeted; Pinned; and Stumbled, shared on the Creative Connections Ning, various forums and teams that I belonged to. 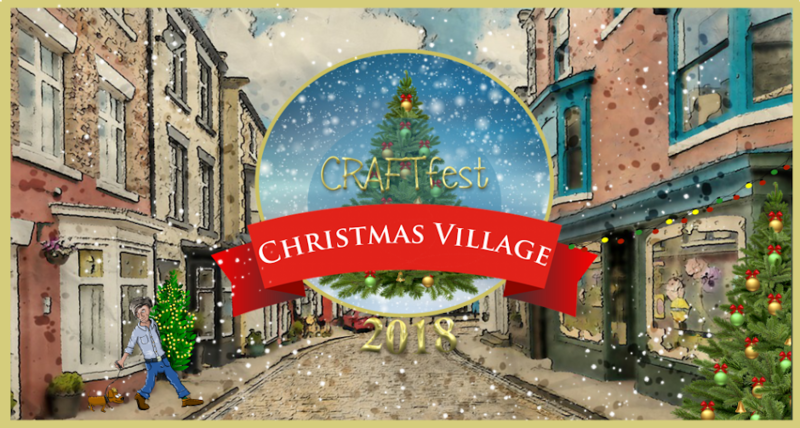 And I'm hoping other CRAFTfest stallholders will engage in the process, by commenting, sharing, and allowing me to share their own related blogs. 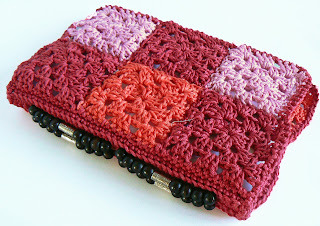 During the week, Purple Team stalls (and any others I fall over) will be posted to myCRAFTfest Pinboard, and also shared, repinned etc as mentioned before. I'll be looking for other CRAFTfest Boards, commenting, repinning, sharing, tweeting etc, and I hope other stallholders 'll be doing the same. Purple Team stalls will be Stumbled prior to the event starting, and I'll be investigating what else I can do to extend that, and asking other stallholders for ideas about it too. There'll be Liking, sharing, commenting and anything else I can think of from myHandmade In Keswick Facebook Page and my personal page, as well as posting on other stallholders pages, during and before the start of the event. I'll be tweeting Purple stallholder links along with #CRAFTfest all through the event, as well as retweeting and answering any I find. I'm just setting up to Twuff some stuff to go out overnight during the event, in the hope of engaging our overseas cousins. I'll also be Tweeting links to anyone famous/influential/pots of money I can think of during the event. Haven't quite worked out who yet, but I'm hoping that other stallholders will have some ideas. The usual posters, business cards, newsletters etc. I off to a usually well attended local fairthis Saturday, so I'm hoping to give out some info then. Have I done enough? Am I doing enough? I hope so, cos I'm sitting inside, and its HOT out there.